In the business world, “the cost of doing nothing” is a commonly used phrase relating to hiring practices, customer service, marketing strategies, or financial decisions. Economists have attempted to quantify this cost in a variety of situations. One example is the firm whose CEO wanted to restructure the management team. While mulling over the decision for months, the firm lost two key executives. The cost to replace them was nearly $80,000. As this example shows, there is something to be said for making a decision and acting on it before it is too late. When it comes to our personal lives, perhaps nowhere is the cost of doing nothing more significant than in planning, saving, and investing for your retirement. Whether you’re a seasoned employee or just beginning your career, you probably already know how complex money matters can be for professionals in the airline industry. Between benefit plans and 401(k) options, many people become overwhelmed with the vast number of alternatives they are offered. While it can be tempting to do nothing, especially if you’re several years or even decades away from retiring, the cost of this choice is very high. Numerous studies have shown the power of compounding interest in which your assets continue to grow over long periods of time. Conversely, if you wait too long to invest, you will miss out on this effect. The later you start saving, the harder it will be to save an adequate amount while still meeting your current obligations. Not only that, but you could also miss out on potential investment gains. An added, but little-known benefit of saving early is the mitigation of risk. While markets can fluctuate significantly over the short-term, the general trend over the long-term is positive. If you wait until the last minute, you could find yourself in a situation like those retirees in 2008 who panicked and left the market with huge losses, only to miss the rebound in subsequent years. Missing out on any one of these benefits of proactive financial planning could jeopardize your financial security in the future. Estate planning is another area in which the opportunity cost of doing nothing is very high. We’ve written at length about the importance of having a plan in place for your beneficiaries should something happen to you. People tend to put off this critical element because it is emotionally difficult to consider one’s own mortality. However, neglecting to plan could cost your estate tens or even hundreds of thousands of dollars, not to mention creating grief and stress for your loved ones. Choosing to do nothing now assumes that you know what the future holds. While you can plan and prepare, there are circumstances beyond your control that can impact the ability to save enough during your working years to meet your income needs after retirement. Planning and investing early gives you flexibility should an unforeseen situation arise that impacts you financially. As we often say, it is never too early to start saving for a secure retirement. 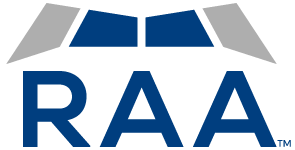 If you have not begun to save or invest for retirement, or if you want to ensure that you’re on the right track, RAA has the expertise to guide you through the process and implement a plan based on your family’s unique situation. To discuss ways you can start planning today and avoid the opportunity cost of doing nothing, request a call with a Financial Consultant at RAA.